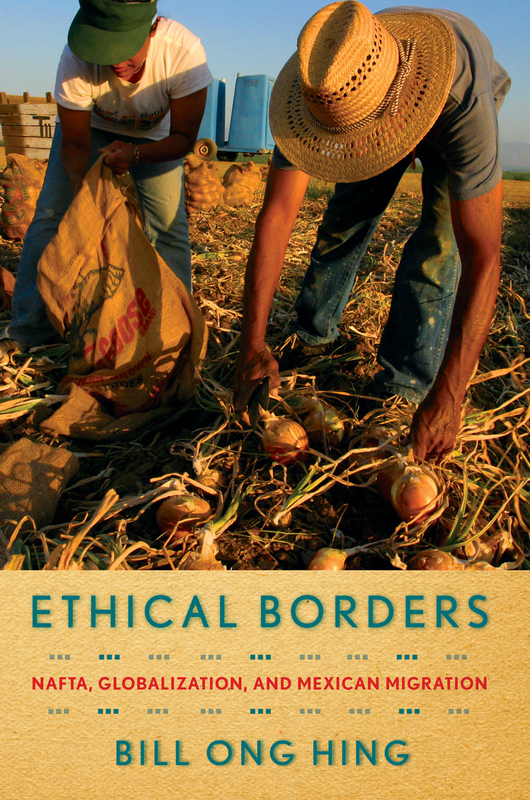 In this blog entry, Bill Ong Hing, author of Ethical Borders offers his responsible approach to addressing undocumented Mexican migration through substantial investment in Mexico’s infrastructure and economy. With healthcare reform out of the way, the White House announcement that it wants to tackle comprehensive immigration reform is good news for the roughly 12 million undocumented immigrants in the United States and their supporters. However, if the package does not include at least the first steps toward helping Mexico improve its economy and infrastructure, undocumented Mexican migration will not be solved permanently. During the presidential campaign, President Obama made it clear that his vision for reform includes legalization for those living in the shadows, but also securing the integrity of the border through additional personnel, infrastructure and technology on the border and at our ports of entry. His commitment to border integrity has been made clear through recent announcements by DHS Secretary Janet Napolitano of increasing resources at the border and targeting employers who hire undocumented workers. The problem with the obsession of resources at the border and enforcement of employer sanctions is that those responses have been tried for years, yet unauthorized immigration continues. Coincidentally, as the White House was making its announcement on reforms, the Border Patrol reported increased migrant border deaths along the southern border, in spite of a decrease in arrests. In other words, migrants keep coming in spite of the militarization of the border and immigration raids. While Mexicans are not the only undocumented immigrants in the country, they make up almost 60%. To understand undocumented migration, we have to look beyond the simple explanation that many cross the border looking for work; we have to ask why they cannot find what they want in Mexico. In 1994, we were told that NAFTA would solve the undocumented problem because jobs would be created in Mexico. But NAFTA contributed to huge job losses in Mexico. Mexican corn farmers could not compete with heavily-subsidized U.S. corn farmers, and now Mexico imports most of its corn from the U.S. Because of globalization, 100,000 jobs in Mexico’s domestic manufacturing sector were lost from 1993 to 2003. Where do those out of work farm workers and manufacturing employees look for work? Toward El Norte. When the European Union experienced a push to expand its ranks to include poorer nations, member countries faced similar concerns. Because membership includes the right to open labor migration for all nationals of EU countries, the wealthier countries worried that as soon as membership was granted, there would a flood of workers from poorer nations flooding into the wealthier ones. Beginning with the 1973 EU enlargement to include Denmark, Ireland, and the United Kingdom, the British insisted on an approach to aid poorer regions. When Greece (1981), and Portugal and Spain (1986) were added, all three nations as well as Ireland received infusions of capital and assistance with institutional planning. The approach worked. Their economies transformed, Ireland, Portugal, and Spain who were all emigrant-sending nations prior to EU membership, now are net immigrant-receiving nations. Today, only 2 percent of EU citizens looked for work in other EU countries. The anti-immigrant lobby has used the politics of fear to generate much of the hysteria over immigration today. They advance the image of hordes of immigrants coming to take our jobs and commit crimes, all the while not wanting to speak English. Of course all the empirical data contravenes those myths. Yet through fear and intimidation, comprehensive immigration reform has been stalled. Fear makes us lose our conscience; fear paralyzes us; we lose our sense of analysis and reflection. Fear has led to an enforcement regime that has resolved nothing, while wreaking havoc in communities through ICE raids and increased migrant deaths resulting from the militarization of the border. At the end of the day, economic investment in Mexico is what’s needed to solve the undocumented migration challenge. Reducing undocumented migration is in Mexico’s interest as well; the persistent loss of able-bodied workers needed to build its infrastructure and economy cannot be good for Mexico. Economic investment in Mexico will not and, probably, should not be done without some close monitoring. The EU enlargement policy sets certain standards for candidate countries. These criteria require a country that wishes to join the EU to meet certain political, social and economic standards. Whatever the process, we need to include investment in Mexico as part of comprehensive immigration reform. Bill Ong Hing is a Professor of Law at the University of San Francisco, and Professor Emeritus, at the University of California, Davis. Q: Chronicling 125 years of Temple University history era-by-era must have been a daunting task. How did you approach and envision this project? A: Given my years at Temple and my training as a historian, I saw Temple’s history in two ways: first, as a noble experiment that transformed itself through a series of difficult challenges into a modern multi-purpose university and, second, as an exemplary model for the democratization and diversification of higher education. From there the text and chapters seemed naturally to fall into discrete themes and distinct eras of change. Historians, after all, are mostly interested in change over time. And so I began by asking how Temple had changed over time and when, why and how the most significant changes had occurred. Q: What surprised you about the Temple story in the research you did? What period of the history did you learn the most? A: The early history and the biography and background of founder Russell Conwell provided the most interesting and sometimes most surprising revelations. The period that fascinated and informed me the most about how Temple became what it is to day was the presidency of Robert L. Johnson (1941-1958). Johnson made the case for Temple remaining in North Philadelphia, when many wished it would move elsewhere, and he used his considerable political skills to find the resources and energy to begin the building of today’s modern campus. 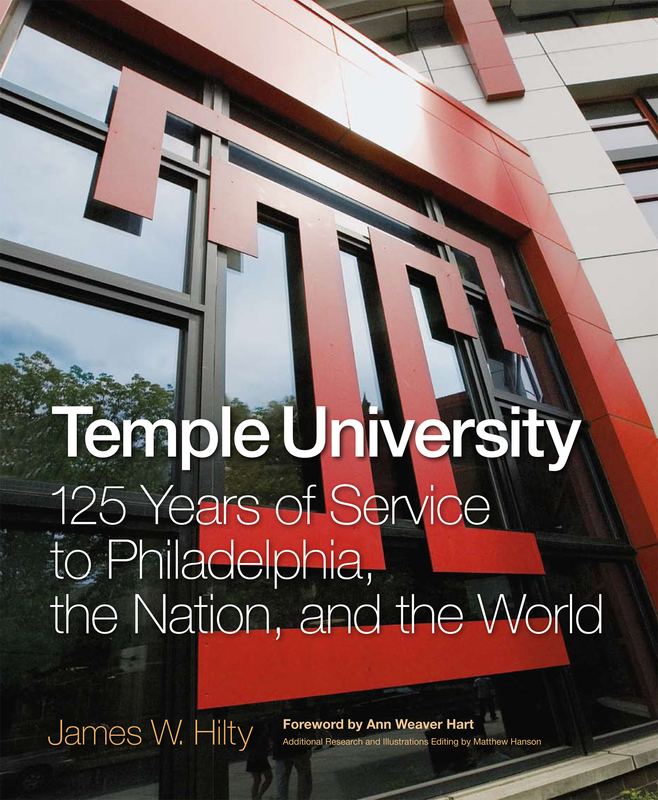 Q: The book details some of the crises faced by Temple through the years—such as neighborhood battles over property encroachment, financial issues, war and social changes. How do you think those situations were handled by the University? A: The Temple-community confrontations in 1969-1970 taught the university several important lessons. First, the university cannot plan as though the community does not have a vital stake in every major development. Second, Temple’s historic mission as a vehicle for social change is one of its most important reasons for being, one of its most distinguishing characteristics. Temple cannot ignore either lesson. Q: Temple alums are everywhere. And while Bill Cosby and Shirley Tilghman are perhaps the most famous names, Temple University features call outs of notable Temple alums. What fascinating alums did you discover? A: Distinguished academicians such as sociologist Robert K. Merton and chemist Frank Albert Cotton spring immediately to mind, as well as important activists for social change such as Sister Mary Scullion. The entertainment arena is crowded with Temple grads, such as Hall and Oates, three of the Sisters Sledge; scads of Broadway performers, such as Hugh Panaro; many well-known musicians, such as jazz bassist Derrick Hodge and pianist Mark-Andre Hamelin; actors such as Jason George and Bob Saget; and news people, such as Barry Levine (executive editor, National Enquirer), Steve Capus (president of NBC News), and several Pulitzer-prize winners, including Clarence J. Williams III, plus many local TV-radio anchors, such as Marty Moss-Coane (WHYY). Q: You document the famous figures who visited Temple in the 1960s—including Rev. Martin Luther King, Jr. and President Lyndon Johnson, and John F. Kennedy, who campaigned here in 1960—why was Temple such a magnet for illustrious visitors? A: Temple’s reputation for social activism and public service was part of the reason. In the 1950s most of the high-placed visitors (Dwight Eisenhower, Richard Nixon) were Republican friends of Temple’s president Robert Johnson. Q: What observations about campus life did you make over the course of your research? When were the students the wildest? (I’ve heard rumors of streaking in the 1970s). A: The 1920s and early 1930s, deservedly or not, were reputedly the wildest. When the first dean of women was appointed in 1930 she was aghast at the conduct of young coeds who publicly necked with their dates on the dormitory steps. Fraternities stationed volunteers near the fish tank in the library to deter pranksters from “gulping” the goldfish – a college fad (along with bath tub gin and raccoon coats) in the 1920s. Q: Temple has a distinguished roster of professors, many of whom have contributed to the past century’s major discoveries. What can you say about the achievements of Temple faculty? A: Temple should take enormous pride in its distinguished and accomplished faculty. There are far too many outstanding achievements to chronicle all of them in the book, but a few stand out: Jackson Chevalier (bronchoscope), O. Spurgeon English (pioneer in psychosomatic medicine), J. Lloyd Bohn (invented micrometeorite counter for Explorer I), Russell F. Weigley (the “dean” of modern military history), Sol Sherry (pioneer in thrombosis), Daniel Swern (plastics), and John Allen Paulos (Innumeracy). Q: You have a chapter on Temple’s storied sports history, from Hall of Fame coach John Chaney to Olympic gold medalist Dawn Staley. Is there a period where Temple teams excelled the most? A: By far the most successful decade for Temple athletics was the 1930s – Temple boasted Olympic champion Jean Shiley (defeated Babe Didrikson), the world’s fastest human (Eulace Peacock who defeated Jesse Owens and held the world record for 100 meters), the first national championship in basketball (1938 NIT crown before there was an NCAA tournament), and a major powerhouse in college football coached by the legendary “Pop” Warner, who led Temple to be the inaugural Sugar Bowl. Q: The photographs are fantastic—where did you find all the images, and what criteria did you use to determine what to include? A: Probably another book could be done with the photos we did not use. We collected and scanned literally thousands of photos taken from Temple archives, publications and public sources. I tried to select those photos that captured the essence of the institution, its people, mission and spirit. The photos were selected with the purpose of reflecting Temple’s vital, thriving nature, to capture the aura and majesty of Conwell’s noble experiment, and to instill in its students, faculty and staff a sense of pride and involvement in the Temple Idea. Q: How did Temple choose the Owl as its mascot? A: The trustees in 1893 selected birds as symbols for the church (eagle), the hospital (dove), and the college (owl). The owl in Greek mythology was sacred to Athene, the goddess of wisdom. Since most of the classes in the early history of Temple (prior to 1901) were held at night, the owl was also an apt characterization of the early students, who thought of themselves as “night owls.” Conwell encouraged evening study with the remark: “The owl of the night makes the eagle of the day.” The owl is perceptive and resourceful, quick and courageous, and truly a fierce fighter. Q: What is your favorite Temple memory? A: Seeing and being a part of the reopening of The Temple (aka the Baptist Temple at Temple University). The building is a critical part of Temple’s connection to its past and its restoration a symbol of Temple’s historical place in Philadelphia. My first trip to China was in 1988, when I went to Beijing to teach English for a year. That landed me in the city for the student movement in 1989 and the subsequent crackdown on June 4th. In some ways that was the beginning of my interest in young urban college students and their aspirations, although my studies began in earnest when I returned to the U.S. and went to graduate school. When I learned of Dalian’s strategy to become the Hong Kong of the North, I was fascinated. It wasn’t until the very end of my first visit to the city that I heard of a place called the “talent market.” I still remember going there for the first time and the sense I had that this was something very new in China. Certainly college graduates had been allowed to look for work on their own by 1993, but the creation of a specific place in the city for independent “talented” workers to find employers in a “marketplace” was noteworthy. I really wanted to understand what was happening in these exchanges, how people understood themselves in these new roles, and what this meant for the relationship between labor and the state. I will admit that I was not expecting to hear so much about the country (China) and patriotic ideals as these young graduates and working professionals planned their own futures. It seemed very reasonable to expect explicit narratives of self-development (which I did hear), and not to hear much about collective responsibilities. Yet it was a persistent message in interviews and more ad hoc conversations, suggesting it was not simply propaganda or some kind of rehearsed speech that is expressed to foreigners. Also, as I became friends with people I interviewed, we would meet for meals, coffee, or leisure outings around the city. These events pushed my research into the city itself, helping me to understand that the young professionals’ sense of self was tied quite closely to the remaking of the city. As I paid more attention to descriptions of the city Dalian wanted to become, I realized that they often paralleled the way the young people described themselves and their futures. 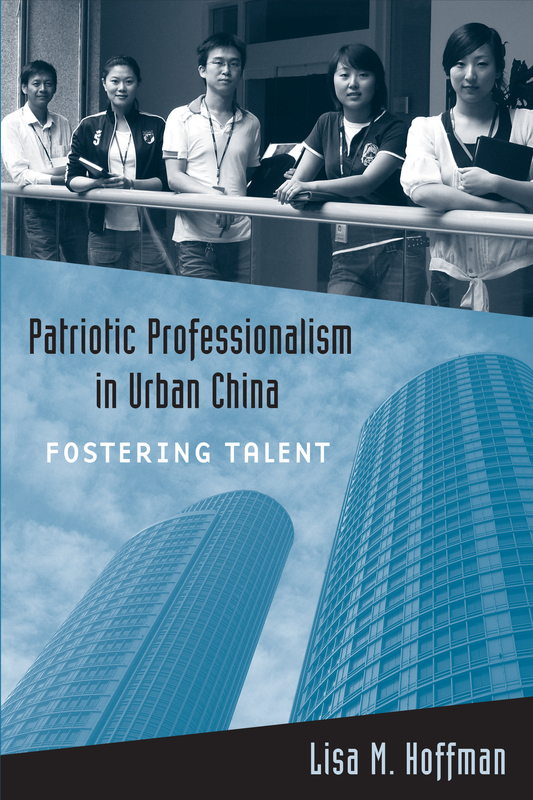 Patriotic Professionalism in Urban China, in other words, grew out of a variety of experiences, some planned, and others that were accidents of history. My first thought when hearing that Donovan McNabb was traded to the Redskins is that it’s going to look incredibly strange seeing him wear the burgundy and gold. When you think of McNabb, you think of Eagles green. The two are synonymous. All eyesores aside, the deal is just plain risky from a Redskins perspective. It comes down to this: How effective will McNabb be as he enters the twilight of his career? I know he’s been to six Pro Bowls, has led Philly to five NFC championship games and a Super Bowl appearance, and has set almost every major Eagles passing record. But he’ll also turn 34 next season and has been injury-prone. Yes, freaks of nature like Kurt Warner or Brett Favre have played like superstars in their late-30s or early-40s. But can McNabb give the Redskins at least four solid seasons and possibly help elevate them to the elite level, or has Redskins owner Dan Snyder again won the offseason Super Bowl by signing the biggest name available, only to see that player underachieve? Think back to last year’s $100 million signing, mammoth defensive tackle Albert Haynesworth, who missed four games due to injury and was way out of shape, often collapsing from exhaustion on the field. He’s now the only Redskin player boycotting the team’s voluntary offseason workouts. I’m not saying McNabb is destined to be a flop like Mr. Jelly Belly, but I feel a paranoia due to the endless series of Snyder’s marquee free agent signings who evolved into busts. The Redskins have undoubtedly been in need of a franchise quarterback, someone who can lead them to a Super Bowl win that has eluded the franchise for nearly two decades. Jason Campbell just isn’t the answer. When Campbell became the Redskins’ starter in 2006, he looked to me like he’d be the team’s quarterback of the future. I was on his bandwagon. He’s a great character guy who posted career-high numbers last season. But Campbell lacks the intangibles a quarterback needs to distance himself from the middle of the pack, including an inability to take control of games in crunch time. Several times last season he was unable to lead the Redskins on late game-winning drives and twice threw killer interceptions. McNabb now supplants Campbell as the Redskins’ starting quarterback. His knowledge of NFC East opponents is a definite plus, as is his experience of playing in the West Coast offense in Philly. New Redskins coach Mike Shanahan will run a West Coast system, so McNabb’s transition on that front will be smooth. And he garners instant credibility as a leader, something Campbell seemed to lack among many of his teammates. The Redskins just don’t understand that you win in the NFL by building primarily through the draft. You’d think this would be the year that that basic fact would click, especially with Shanahan, a two-time Super Bowl winner, and Bruce Allen, the team’s first true general manager during the Snyder era, aboard. Get this: During Snyder’s ownership period (1999-present), the Redskins have drafted the fewest players who have started at least 10 games – 24. Comparatively, the team with the best winning percentage from 1999 to 2009, the Colts (.706), has chosen 40 such players. Two other very successful teams of the same era, the Eagles (.611) and the Titans (.583), have produced 36 and 41 players, respectively. Are Redskins fans looking at a rebound from last season’s 4-12 abomination, the franchise’s worst season in recent memory? Will McNabb cure the team’s woes? My take: Don’t buy your tickets yet expecting to see the Redskins in next season’s Super Bowl. We’re eyeing a long rebuilding project, and an overnight fix isn’t the answer. 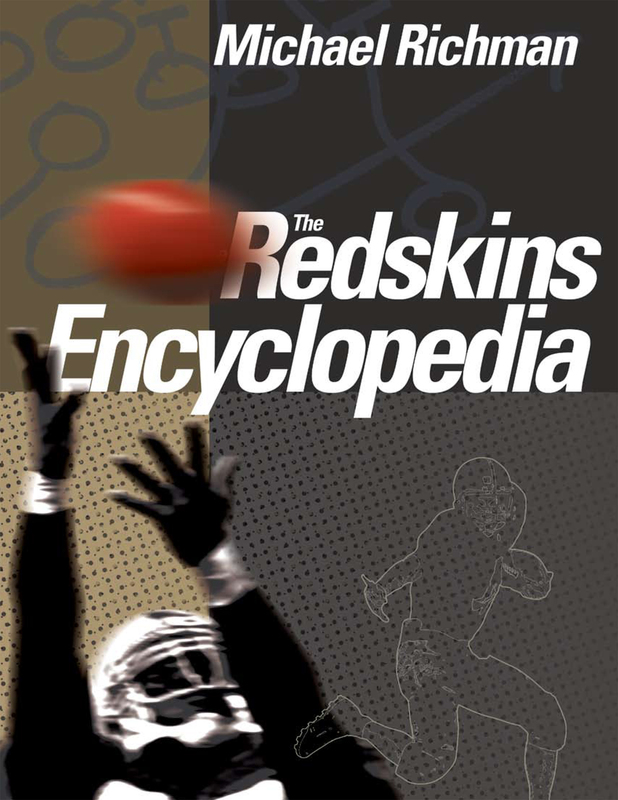 You can read more about Mike Richman and The Redskins Encyclopedia on his website, www.redskinshistorian.com.